Living Reflections (from a dream): Shame on you BAFTA! 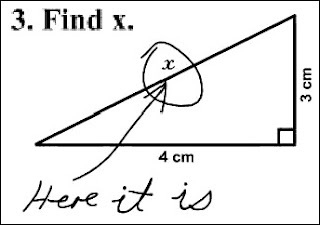 Memories of school come flooding back....it's not as if I've ever had to find 'x' in my adult life. On the upside to life, watched 'Pan's Labyrinth' on DVD last night, and a brilliant episode of Top Gear on BBC. Then watched the BAFTA's. I've to write a thingy on it for the BBC website, and had a 'winning' line, which Alan says I can't use..."ugly back-slappery that rears it's colonial head at times like these"
...because, basically, he says that I'm being 'down' on the British, and the BBC is pretty much Britain's flagship of media. Ah well, I have a blog to vent, so vent I shall! Paul Greengrass Best Director? The ugly back-slappery that rears it's colonial head at times like these completely invalidates any further awards the BAFTA's see fit to hand out. To say that United 93 - a 'made-for-telly-tearjerker' - was the best directed movie of 2006 calls doubt on any system of encouragement the British establishment creates. Barca bow down to superior Reds!